Food poisoning is a common illness caused by eating contaminated food. This easily preventable illness is not usually serious with most people getting better in a short period without treatment. However, in some rare cases, you may need to consult a doctor for treatment. Food poisoning is usually caused by food contaminated with a virus such as the norovirus or bacteria such as E Coli or Salmonella. The main symptoms of food poisoning include vomiting, muscles aches, diarrhoea, nausea, fever, stomach cramps and abdominal pain. Food can become contaminated at any stage during sale, processing, production or cooking. 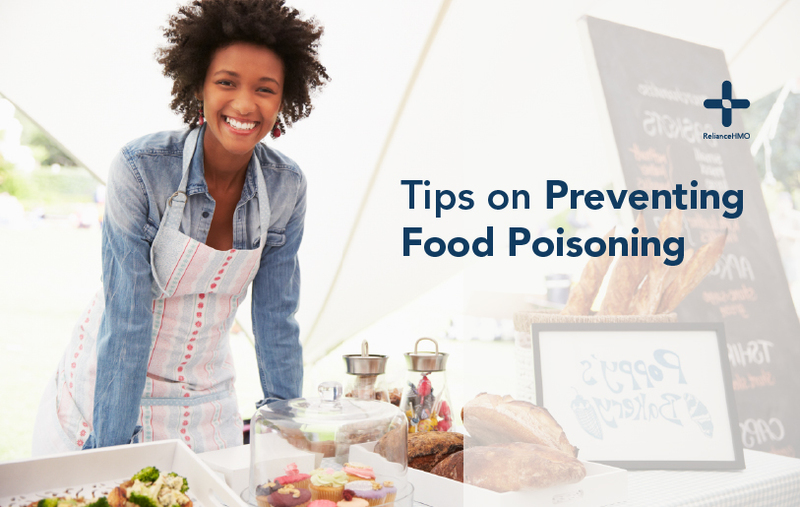 Some foods that easily get contaminated when mishandled include raw meat, poultry products, unpasteurized milk, raw shellfish, sandwiches, and cheese. Whenever you purchase packaged food always be on the lookout for its expiry date. Do not eat expired food even when it looks good or smells okay. Expiry or use-by dates is determined by health regulatory agencies like NAFDAC for your protection. Ensure you wash both hands thoroughly with soap and water after touching the bin, visiting the toilet, sneezing, blowing your nose, petting animal, before handling food and after handling food. Always ensure your refrigerator functions properly and cools below 5C. At this temperature, germs are inhibited from multiplying or growing. Always wash kitchen napkins and dishcloth regularly, and allow the dry properly before the next use. Dirty and moist clothes create the perfect environment for bacteria to flourish. If you cooked food you don’t intend to eat immediately, keep it refrigerated as soon as possible (within 2 hours). Always cook food thoroughly if its source could be contaminated. Most of the time the hygiene condition of our local abattoirs and meat seller essentially means we are buying contaminated meat. Always cook meat at high temperatures to eliminate harmful germs. Take extra caution when storing raw meat; always keep raw meat away from bread, salad, and fruits in the fridge. You have to keep them separate because these are foods that you can’t cook before eating. For more advice and help, feel free to ask a Doctor online via The Reliance Care App.